Click on the date to see the relevant map. You can then enlarge further to concentrate on points of interest. 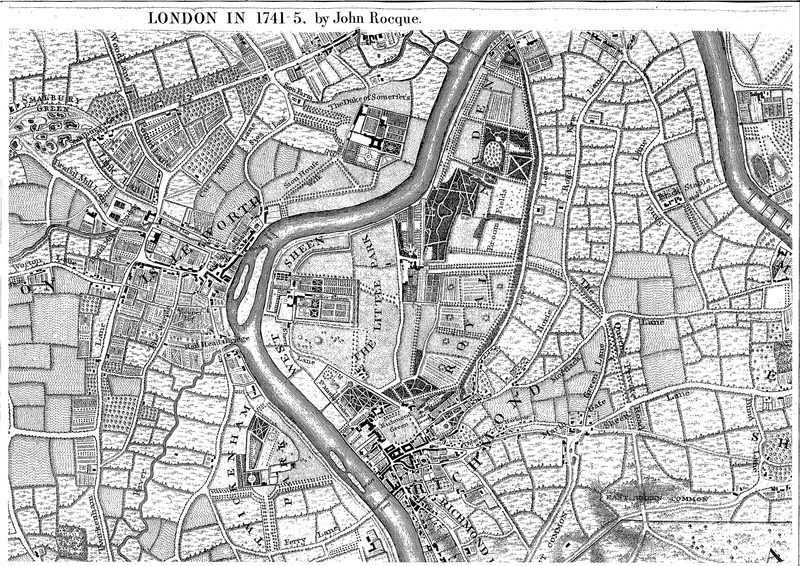 John Roque produced a map of London and its environs. It seems his main source of income was rich landowners; so detail of central Richmond looks more accurate than that of Richmond Hill. 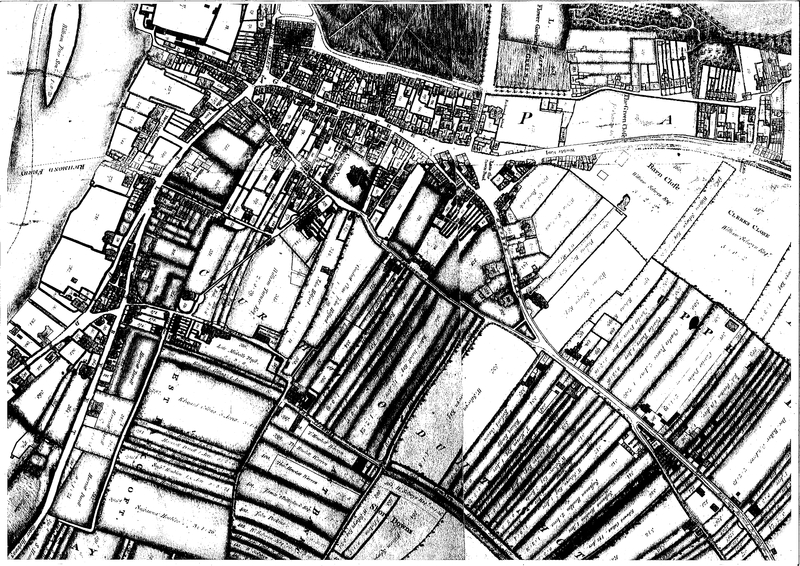 "Plan of the Royal Manor of Richmond, otherwise West Sheen, in the county of Surry. Taken under the direction of Peter Burrell Esq.. His Majesty's Surveyor General in the year 1771 by Thomas Richardson in York Street, Cavendish Square, London." Shows the area by ownership/occupants for rating purposes. "Plan of the copyhold premises in the Royal Manor of Richmond, otherwise West Sheen, in the county of Surry belonging to Her Majesty by E & C N Driver"
"The numbers correspond with the Plan and Book of Reference made by Mr Richardson in 1771." First OS map showing "Vineyard Lane" running from the Hill to Mount Ararat Road but with no detail of buildings apart from Michel's Almshouses. It emphasises the former importance of the Vineyard Passage and Patten Alley as paths up the hill. OS map shows South side of the road built up to Onslow Road but pre-dates the Halford Road development and demolition of Mount Ararat House. The road complete! But change continues.